Archaeology and HER Officer Paul Driscoll explains the importance of sharing South Gloucestershire’s heritage data on Know Your Place. The Historic Environment Record (HER) for South Gloucestershire was recently made available through the South Gloucestershire edition of Know Your Place. The HER is a database of heritage assets and investigations, such as archaeological sites, listed buildings, battlefields, and archaeological events such as excavations. The HER is maintained by South Gloucestershire Council as a record of what we know about the past in the area. Although it is by no means complete, nor ever will be as there will always be something new to discover, it is the most complete gathering of this sort of information for the area. The HER is made up descriptions of heritage assets and the sources where we get our information from (for example from an archaeological excavation or a local historical article) alongside digital mapping (in GIS) to draw and display these assets. We supplement this with photographs, plans and other drawings. 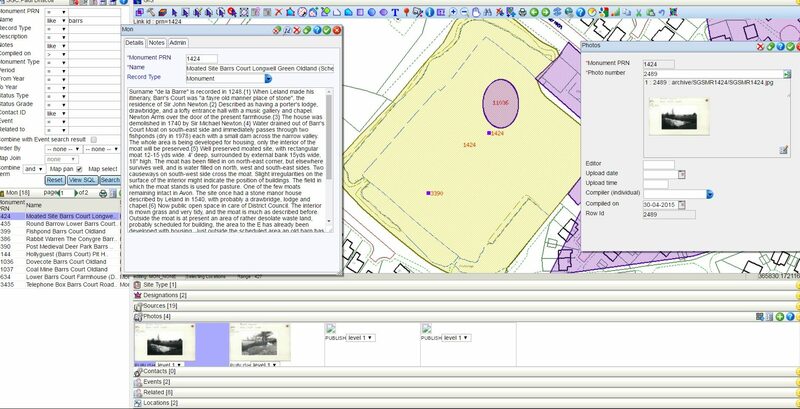 This way we maintain a database that is visual and information based and is used often in planning decisions. 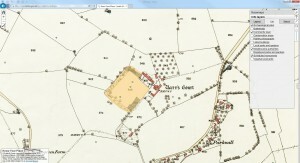 An entry in the Historic Environment Record database for South Gloucestershire. Making this information available online via Know Your Place is about making our data more accessible and helping people to research their local area. After all, whilst South Gloucestershire Council maintain the HER, heritage belongs to everyone and making it available means local people can use it to understand and potentially shape the places that they live in. Heritage is a key part of the character of every place and the more people know about it and understand it, the more likely they are to help conserve it for future generations. We don’t put everything that is in the HER online. Some information is sensitive and we do not provide information about archaeological events (fieldwork and other forms of investigation). However, many archaeological sites and buildings can be researched via Know Your Place. Combining this data with historic maps means we can appreciate and understand these assets in a much better way than before. You can access the HER in Know Your Place by ticking the boxes in the Info Layer. For example, if you turn on the archaeological sites layer you will see a screen full of dots. Each of these dots is an archaeological site. Some are simply milestones along a historic road, whilst others are major sites, such as Medieval settlements. Clicking on any dot will allow you to read about that site and will give you the site’s name, period (age) and a description. 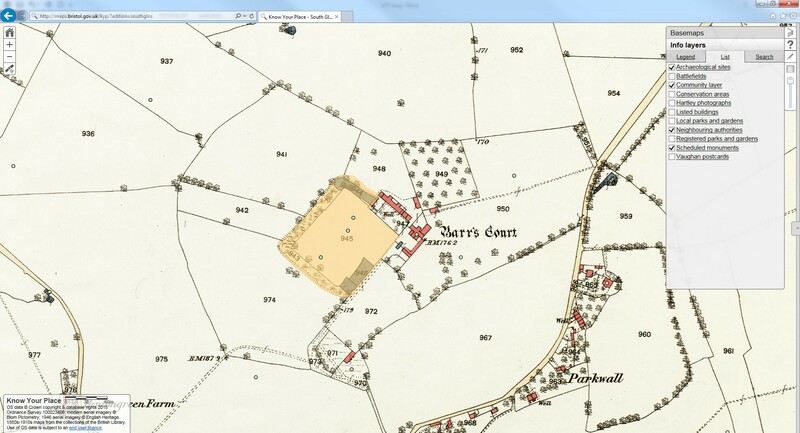 Selecting different heritage assets from the Information Layer on Know Your Place. There is a legend which breaks the sites up into periods and you can select other types of heritage assets, including Listed Buildings, Scheduled Monuments, and Registered Parks and Gardens. The Community Layer is made up of contributions submitted by the public. Some of these will go directly into the HER, where they add to our understanding of a heritage asset, with the remainder appearing on the Community Layer. If you see anything on the HER that you think is inaccurate, please feel free to make a contribution, using the contribution tool, or simply email the Archaeology and HER Officer at South Gloucestershire Council on paul.driscoll@southglos.gov.uk . The project is working with HER officers across the West of England to share the region’s Historic Environment Record data on Know Your Place.